You Know What Looks Like Fun? The Storefronts Seattle office is in Chinatown, in the back of one of our programming storefronts. Well, that is to say, it’s in the back of what used to be one of our programming storefronts, because the pop-up project we placed at 608 Maynard Avenue South, Tuesday Scarves, ended up stabilizing, and writing its own lease with the property owner, and becoming a permanent part of the fabric of Chinatown, and a poster child for the success that’s possible through our program. 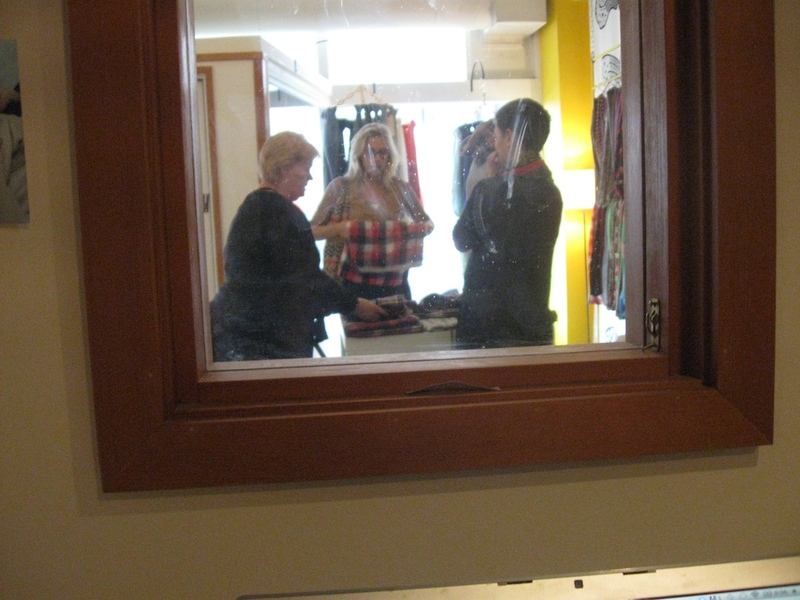 ANYWAY, my point is that our office is still in the back of the space, and there’s a little window looking out onto the shop from my desk, and I get to watch people come in all day and try on scarves with Rian Robison, owner of the shop and fashion consultant extraordinaire. Yes, the window’s filthy, but if I’d cleaned it first I’d have missed the shot. You should come down and try on scarves with her, now that we’re headed back into scarf season. It looks like a lot of fun, and to hear her work with each shopper like she’s their full-time personal fashion consultant is a blast. 1 Response to You Know What Looks Like Fun? THIRD FLOOR. Sounds like a Winner. !